His Divine Grace Srila Bhakti Ballabh Tirtha Goswami Maharaj is presently one of the foremost spiritual leader of the mission of Sri Chaitanya Mahaprabhu and His associates in the world today. He is the dearly beloved disciple of Srila Bhakti Dayita Madhava Goswami Maharaja and who is in turn the equally beloved disciple of Srila Bhakti Siddhanta Saraswati Goswami Prabhupada. His Divine Grace Bhakti Ballabh Tirtha Goswami Maharaja appeared in 1924 in Assam, India, on Rama-Navami, the most auspicious appearance day of the Supreme Lord Krishna in His form as Ramachandra. From his childhood, he had a natural attraction to and affinity for spirituality. Having been brought up in a pious environment, he developed a strong inclination to search for the ultimate goal of life and began to spend the majority of his time in meditation. Consequently, indifference to the material world developed and he became acutely aware of the non-eternal nature of the material world. He realized that one day his mother, father, brother, sister and all others would be gone. He realized that one day his mother, father, brother, sister and all others would be gone. . Everything would be finished. 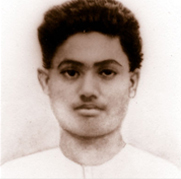 This manifestation of the path of self-realization led him to take up the study of philosophy at Calcutta University. His fellow students at the university invariably noted his outstanding qualities of nobleness, truthfulness, benevolence and non-enviousness. 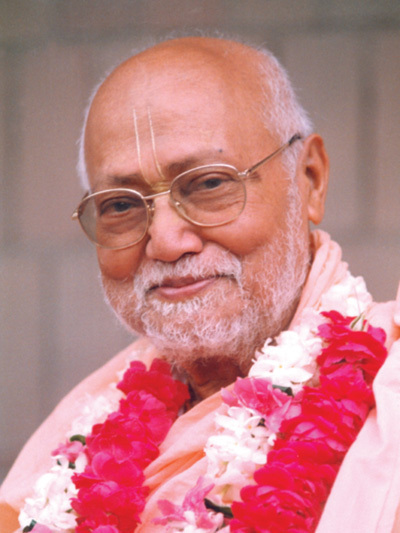 While studying at the university, he came in contact with his spiritual master, His Divine Grace Srila Bhakti Dayita Madhava Goswami Maharaj, and immediately became attracted by his transcendentally powerful personality. Srila Madhava Maharaja was one of the leading followers of the illustrious preceptor of the pure devotional bhakti school, His Divine Grace Prabhupada Srila Bhaktisiddhanta Saraswati Thakur, and a great proponent of the devotional teachings in his own right After completing his Masters Degree in Philosophy in 1947, Srila Tirtha Maharaja wholeheartedly and unreservedly dedicated his life to the service of his spiritual master. He went with friends to Sri Mayapur, the Holy Birth-Place of Lord Sri Chaitanya Mahaprabhu, and met His Gurudeva, His Divine Grace Srimad Bhakti Siddhanta Saraswati Goswami Prabhupada at Sri Chaitanya Math in the year 1925 AD. He was attracted to Him upon seeing His Divine Spiritual Personality. Taking absolute shelter at His Lotus Feet, He took initiation from Him at Sri Gaudiya Math, at 1, Ultadanga Junction Road, Calcutta on November 1, 1927 AD. He joined the Sri Gaudiya Math Institutionmmediately after taking initiation and also made His devout vow of celibacy, even though young of age. Eventually, Srila Madhava Maharaja, seeing his disciple’s degree of dedication and sincerity combined with an astute and practical mind, selected him as his worthy successor. 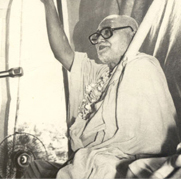 After the disappearance of His beloved Spiritual Master Srila Madhava Goswami Maharaja in 1979, Srila Tirtha Maharaja was appointed as President-Acharya of the Math. 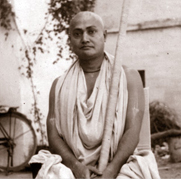 He has received the fortunate blessings and great affection of many of Srila Bhaktisiddhanta’s prominent followers, such as Srila Bhakti Rakshaka Sridhar Deva Goswami Maharaja, Srila Bhakti Promode Puri Goswami Maharaja, Srila Bhakti Hridaya Van Goswami Maharaja, Srila Bhakti Akinchana Krishna Dasa Babaji Maharaja, Srila Bhakti Kumud Sant Goswami Maharaja and many others. 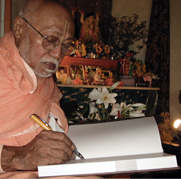 For the last five decades, Srila Tirtha Maharaja has been engaged in the propagation of the all-embracing doctrine of transcendental Divine Love of Sri Chaitanya Mahaprabhu to counter the present trend of violence and cruelty, and to bring about unity of hearts among all, irrespective of caste, creed or religion. “Example is better than precept” is his way of preaching. He has always practiced what he preaches—compassion toward all living entities, true kindness, simplicity, innocence, complete etachment, absolute tolerance, intense spiritual blissfulness, an incomparable degree of humility and unflinching faith in Sri Guru combined with exclusive devotion and complete surrender to Sri Chaitanya Mahaprabhu. Srila Tirtha Maharaja is known for not deviating even one inch outside of the four corners of the prescripts of the Holy Scriptures. His Divine Grace is a renowned authority on Gaudiya Vaishnava philosophy and he is beloved by thousands of devotees throughout the world as the very embodiment of humility and spiritual affection. 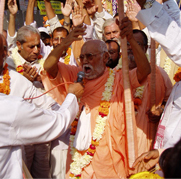 Now at the age of 84, inspired by the grace of his Gurudeva, Srila Tirtha Maharaja is always on the move, going from towns to villages in India and also abroad, propagating the divine message of the Bhagavad Gita and the Srimad Bhagavatam. Without caring for his ownpersonal comfort and undergoing many austerities, he maintains an extremely heavy preaching schedule, tirelessly serving the mission of Sri Chaitanya Mahaprabhu. It could in fact be said that Srila Bhakti Ballabh Tirtha Maharaja is the very personification of all desirable and rare attributes such as: humility, affection, purity of heart and exclusive devotion. 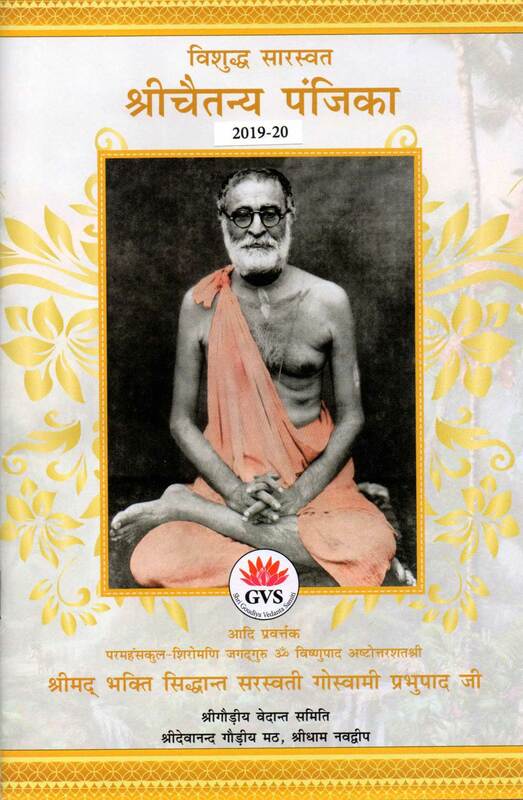 Because of these qualities and the mercy of his guru, His Divine Grace Srila Bhakti Ballabh Tirtha Goswami Maharaja is the present President-Acharya of the Sri Chaitanya Gaudiya Math devotional institution and also the Founder-Acharya of GOKUL (Global Organisation of Krishnachaitanya’s Universal Love). 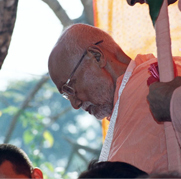 He also serves as president of the World Vaishnava Association (WVA) and is acknowledged by Vaishnavas around the world as one of the most exalted spiritual personalities of his generation. Srila A.C. Bhaktivedanta Swami Maharaja requested Srila Tirtha Maharaja to accompany him to the US just prior to his launching of the Hare Krishna Movement in the West in 1965. As he was, at that time engaged in the service of his spiritual master, Srila Madhava Maharaja, with many duties and responsibilities, Srila Tirtha Maharaja humbly declined. for guidance regarding travel to the west. At the behest of his beloved shiksha-guru(instructing preceptor), His Divine Grace Srila Bhakti Promode Puri Goswami Maharaja, he then embarked upon preaching the message of Sri Chaitanya Mahaprabhu throughout the world, beginning with an America in 1997. Since that time, he has continued to disseminate the remedy for the afflictions of the current age quarrel, the chanting of the Holy Name, throughout the world. To date, his preaching engagements have taken him to 25 countries including England, Holland, Italy, Austria, Germany, France, Russia and throughout the length and breadth of the continental USA. 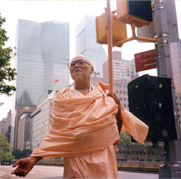 Srila Tirtha Maharaja, during his US tour in 1997, addressed the United Nations “World Conference On Religion and Peace and World Peace Prayer Society” in New York city, offering them a succinct outline for world peace based upon the spiritual tenets of the ancient Vedas. All participating in these meetings were very much taken by Maharaja’s sweet and humble personality, and regarded him as a genuine holy man. His preaching programs over the past years have also included many interesting dialogues with prominent Catholic, Protestant, Jewish, Muslim and Baha’i theologians, in such diverse settings as universities, interfaith groups, churches, Hindu temples and a wide variety of metaphysical and private educational centers. All are invariably won over by his gentle and affectionate nature, combined with his resolute faith in Guru-Vaishnava-Bhagavan. 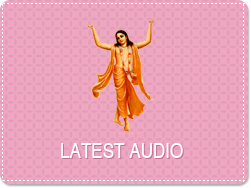 He has also spoken on the sublime teachings of Sri Chaitanya Mahaprabhu on many radio and television programs, including a thought-provoking interview. Srila Tirtha Maharaja’s knowledge of scripture is formidable. He substantiates everything he says with innumerable evidences from all over the Vedic literature. He always preaches fearlessly and never compromises the conclusions of the scriptures for the sake of mundane practicality. During his devotional, powerful, informative, heart piercing lectures, he inspires numerous devotees. He uses every moment of every day to fulfill Sri Chaitanya Mahaprabhu’s desire to preach the Holy Name of Krishna in every town and village. He is the perfect example of the famous and oft-quoted verse “trnad api sunichena” from Sri Chaitanya Mahaprabhu’s Shikshastaka Prayers. Although very meek and humble in his personal dealings, in his classes he roars like a lion, smashing false pride and cutting all misconceptions from the hearts and minds of his disciples and followers. Srila Tirtha Maharaja’s knowledge of scripture is formidable. He substantiates everything he says with innumerable evidences from all over the Vedic literature. He always preaches fearlessly and never compromises the conclusions of the scriptures for the sake of mundane practicality. During his devotional, powerful, informative, heart piercing lectures, he inspires numerous devotees. He uses every moment of every day to fulfill Sri Chaitanya Mahaprabhu’s desire. His Divine Grace is always engaged in writing articles and books of a profoundly spiritual nature in several native languages as well as English, for the eternal benefit of the conditioned souls of the world. 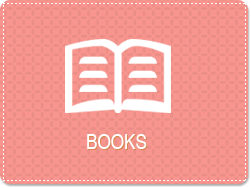 Many of his writings are in the Bengali language but have been, and continue to be, translated into many other languages. As far as spiritual content is concerned, Srila Tirtha Maharaja leaves no stone unturned. I pay my respectful obeisances unto Om Vishnupad Srila Bhakti Ballabha Tirtha Goswami Maharaj, who is the loving personified of Sri Gaura Sundar. He is completely enlightened by His bhajan-sampada ( wealth of Bhajan), whose ornaments are his bhajan and whose senses and speech are under his control. I bow down unto lotus feet of one who condemns the false-scriptures of mayavad, on the basis of bhakti-siddhanta ( the philosophy of pure devotion). 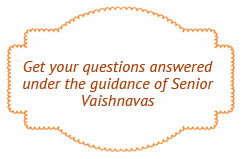 You are perfect and prompt in vaisnava-philosophy of pure devotion. You are ever blissful and preaching the great philosophy around the world including western countries. Oh bhagirath of pure devotion (one who carries pure devotion)! You are the one who is spreading the Ganges of pure devotion all over the world, and non-different from Srila Bhakti Daiyta Madhava Goswami. You are His (Srila Bhakti Daiyta Madhava Goswami’s) expansion. I pay my respectful obeisances unto your lotus feet. 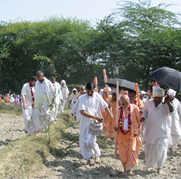 Just by Hari-naam sankirtan, you generate and preach the taste of nectar of Lord Krishna’s unlimited past-times, holy name, form, characteristics, lila-dham.You are deity-form (personification) of Lord Krishna’s mercy and the philosophy of this disciplinic succession.. You teach and preach through your behaviour. I offer my respects unto you. I pay my Humble obeisances unto Srila Bhakti Ballabh Tirtha Goswami Maharaj, whose soft heart has become full of nectar by continuously preaching the sweet nectarian name of Sri Gaur-hari. 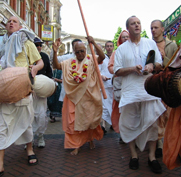 He – who serves all the vaisnava servants of Gauranga mahaprabhu humbly and glorifies them. Who is dear most to Srila Gurudeva (Srila Bhaktidaiyta Madhava Goswami) and to whom Srila Gurudeva is dear most, and one who is extra-ordinarily loyal and very loving to his god-brothers, I pay my respectful obeisances unto such Srila Bhakti Vallabh Tirtha Goswami Maharaj.